Relax in comfort after a long hike. 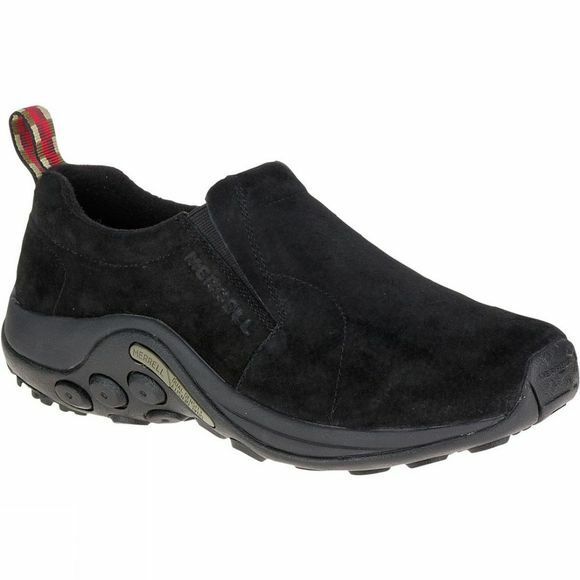 Your feet support you all day so love them back with the Women's Jungle Moc Shoe, the perfect gift for your feet. The antimicrobial lining and shock-absorbing air cushion in the heel keep your feet fresh and protected wherever your day takes you. So whether you're looking for simple, yet stylish, slip-on to wear around town, or a comfortable after-sport moccasin, this shoe is the order of the day.